As the Sony hack has shown us, you simply can't take security online for granted. 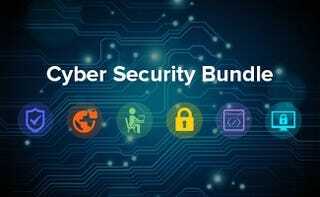 These bundles, covering White Hat Hacker Techniques and Cyber Security Development, are curated to guide you through the basics of cyber security – from network security to hacking techniques. Below, we've spelled out both the Cyber Security Developer Bundle and the White Hat Hacker Bundle. Either one covers the basics of online security – from the fundamentals to how to code for it. All of these courses come with unlimited lifetime access and a 30-day money back guarantee, plus you get a certificate of completion for each course you finish. Head for the link to grab the deal.